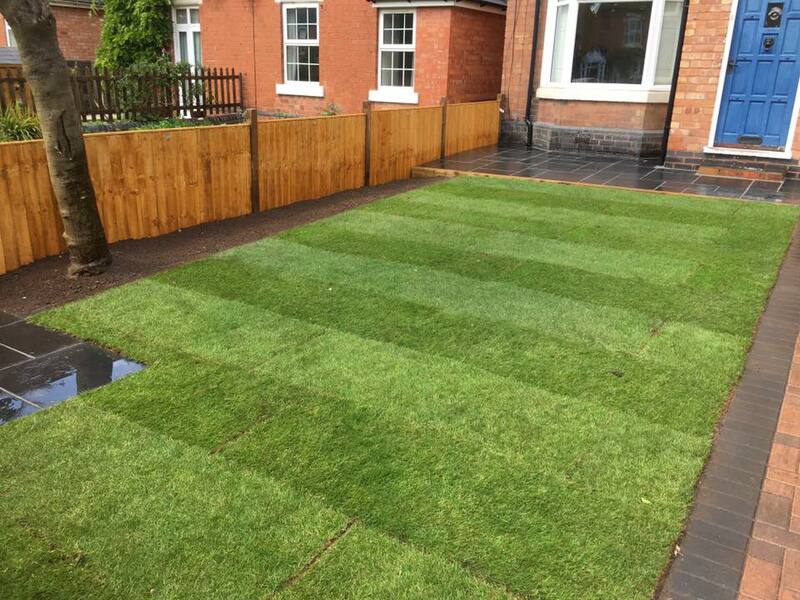 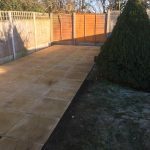 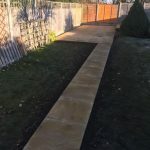 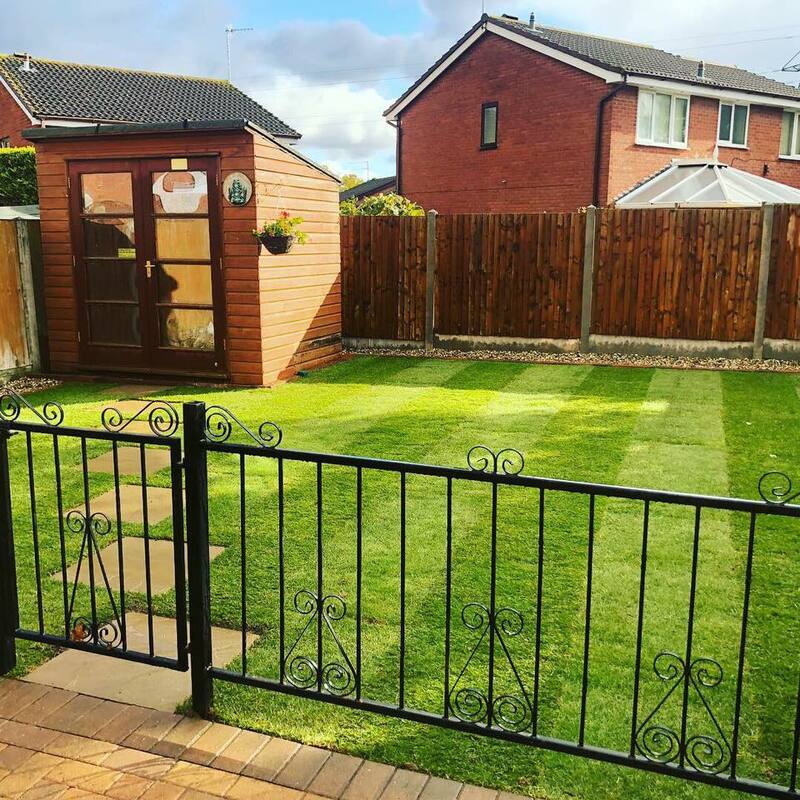 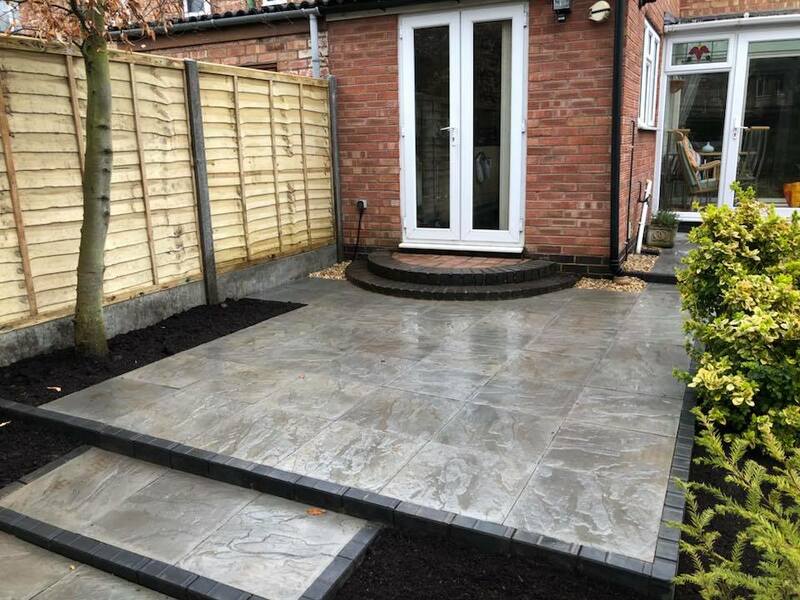 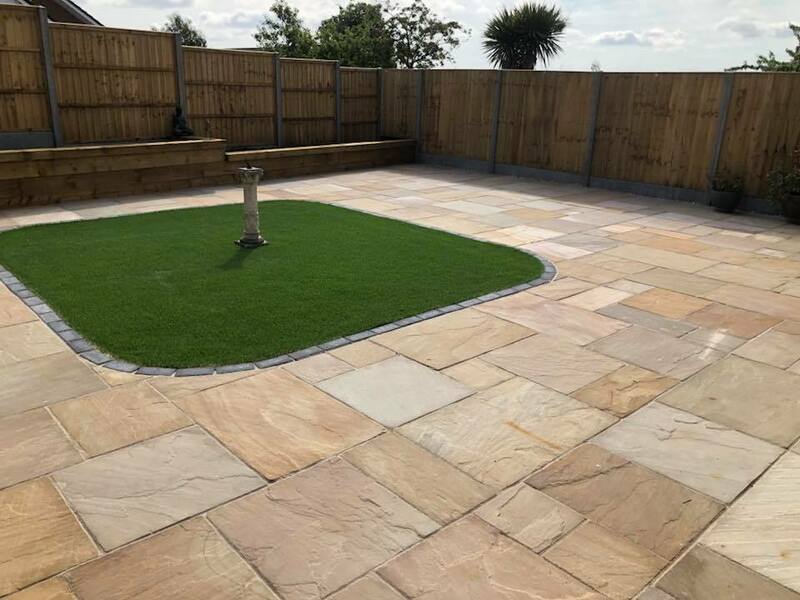 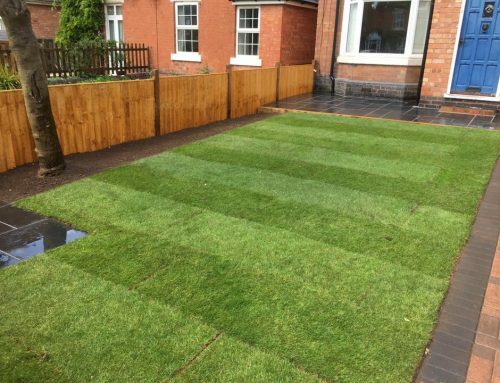 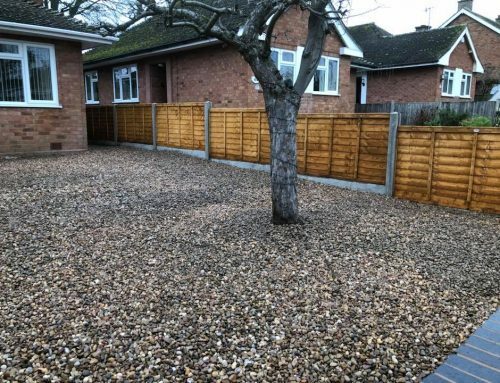 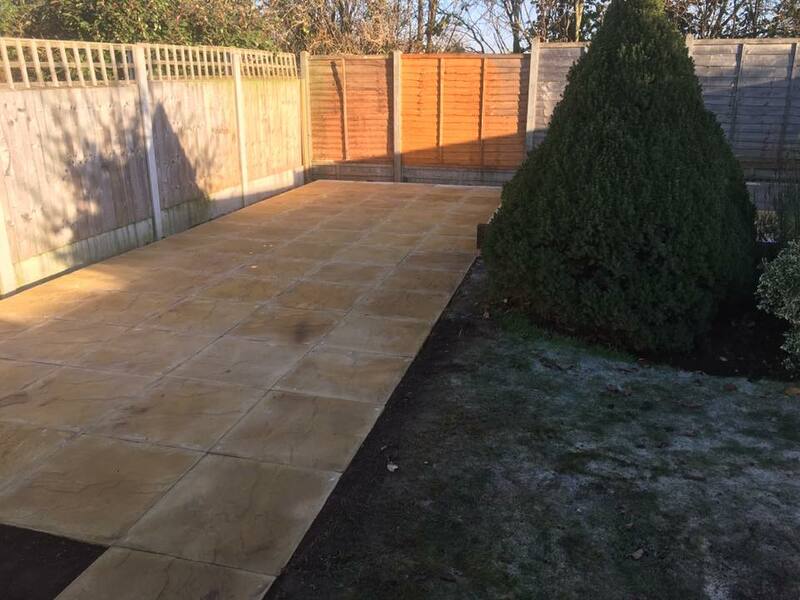 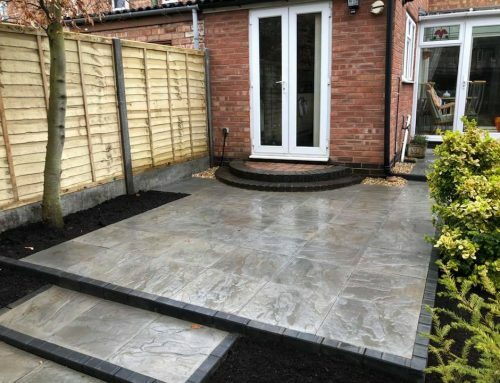 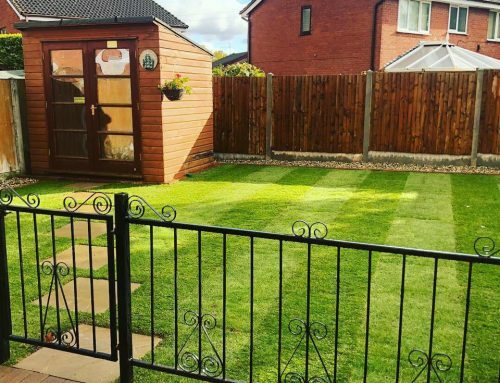 A new customer asked us to a straight forward job for them at the bottom off their garden. 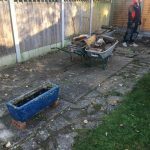 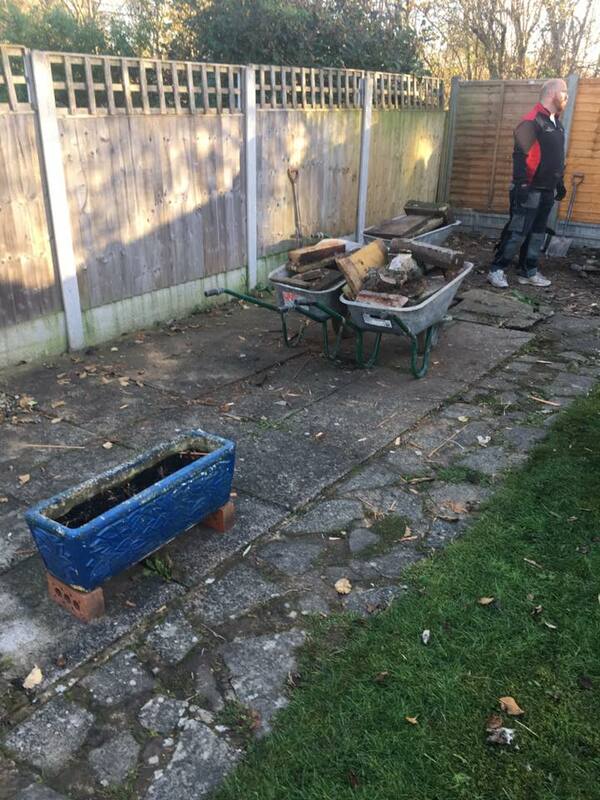 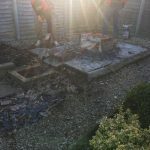 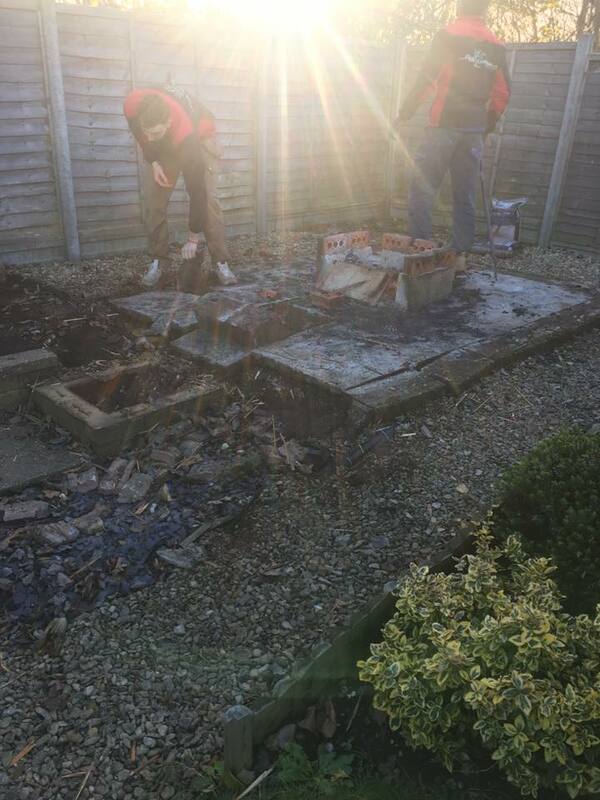 We had to clear area, lay 130 ryton riven buff slabs & 25 old slabs for a large shed and green house base. 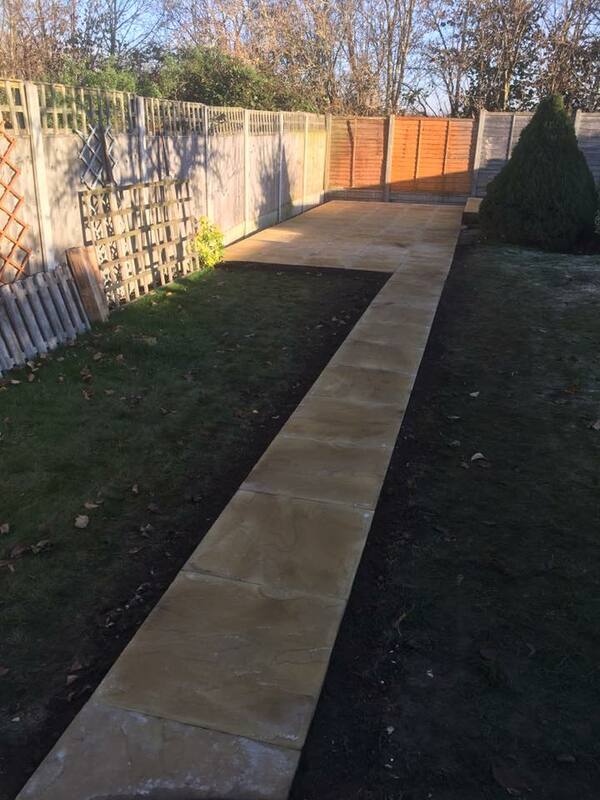 We also added a pathway up the garden.